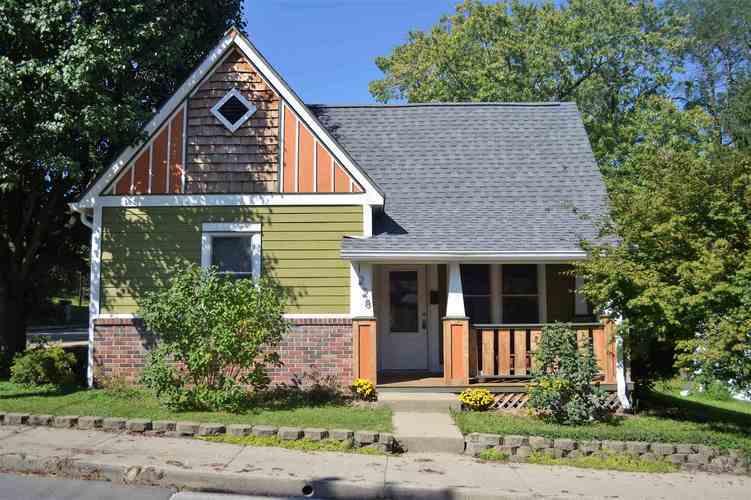 A must see in one of the most desirable neighborhoods in Bloomington! This Prospect Hill home is beautifully updated with 3 bedrooms and 2 full bathrooms, along with an over-sized detached garage! This house features bamboo and slate flooring, loads of natural light with skylights in each bathroom, a master bedroom suite, and a separate laundry/mud room. The heated detached garage is a one of a kind for this neighborhood and provides room for 2 large vehicles, a work space, a separate finished bonus room, and over 350 square feet of upstairs storage! A new garage door was recently installed. The roof is only 2 years old. Enjoy being only a few blocks from downtown dining, the B-Line trail, and the Courthouse Square! Directions:From north Bloomington take Rogers south. Turn right onto W 4th st, left onto S Maple. The house is on the right at the corner of Maple and 3rd st. Listing provided courtesy of Flying Fish Real Estate.